Therefore, the attitude that the first minister of Scotland, Alex Salmond maintains is a primary motivation behind a YES vote on independence. The business week article – Can an Independent Scotland, Free of London’s Dominance, Survive? – examines the prevailing issue. 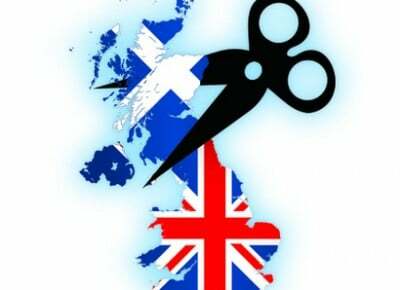 “UK debt – in theory – would be viewed by financial markets as a riskier bet since there is a remote possibility an independent Scotland would refuse take its share, estimated to be about £120bn. The effect of a smaller UK carrying the same debt burden would be to push up debt-to-GDP ratios, currently about 75%, by about seven percentage points. In practice, however, markets might take that event in their stride. The Treasury has already affirmed its commitment to service all gilts in all circumstances; the possibility of interest rates being lower for longer might even push gilt yields lower. “A chorus of British business leaders have been voicing fears about a “Yes” vote in recent days. The right wing Centre for Policy Studies think-tank became the latest group to weigh in with a report warning of a “severe” risk. The CPS claims there is a £13.8bn hole in the Scottish nationalists’ budget plans as North Sea oil will run out faster than expected while public sector costs will rise and financial-services firms will quit Scotland. “Given the Scottish economy is around £146bn (including the oil industry), this suggests that reserves totalling around £36bn would be needed if Scotland chose ‘sterlingisation’ – ie, using the pound without a currency deal.